Welcome to our Apex Legends Shotgun List, here you can view the Best Shotgun Stats in Apex Legends. The weapon of choice for close range run and gun gameplay, thanks to good bullet spread and even better damage when fired up close. We display the Apex Legends Shotguns using a Tier List format. 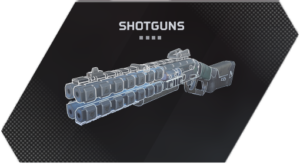 You can find the Apex Legends Best Shotguns in the S Tier, after that they start to become weaker ending with F Tier. Below we have a listed each of the Shotgun Stats for Body and Head Damage, along with the attachments that can be used with each one. -Mag 45 66 Triple-barrel shotgun pistol. Mastiff None 144 288 Powerful semi-auto.